Appearance: This is Raien Natsumegawa's appearance, she is usually dressed in her school outfit, when actually being herself all she does is attend school though. Now, when she is being Ryuhiji she is of course more of a delinquent and dressed in whatever style that she choices for the day, but supposedly she has some information on the principal that causes him to have to put up with the young "man's" appearance no matter how extreme the clothing choices stray from the school uniform dress code. But usually he keeps it quite clean, his style is set along the lines of grunge/prep style. Usually consisting of a tie that is tied but never at his neck,a blazer of a different color everyday or a different pattern, things that don't seem possible to exist on a blazer he most likely has a blazer of it, a pair of slim fit jeans or pants that are always ripped at the knees and frayed at the bottoms because of the Ats that he wears all the times, even while in school because he never likes to walk like a normal student puts up with so he just about always wears his ATs except when he is home. 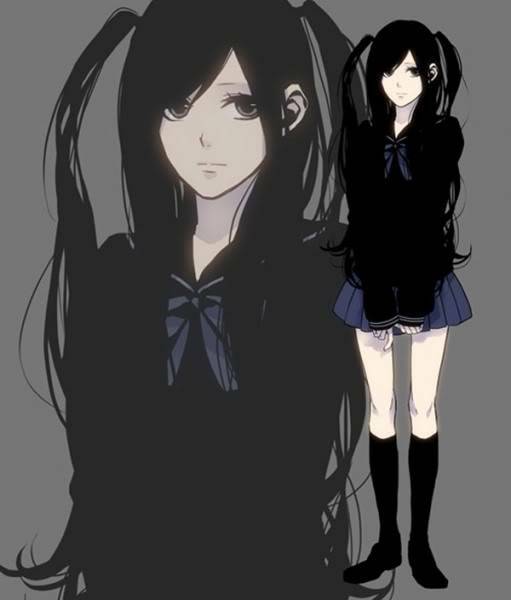 As far as the physical appearance goes Raien and Ryuhiji are both 5'7 inches tall, Raien/Ryuhiji have black hair that is normally shoulder length but when her identity is revealed she allows her hair to grow out again at which point she puts it into pigtails, instead of leaving it short. 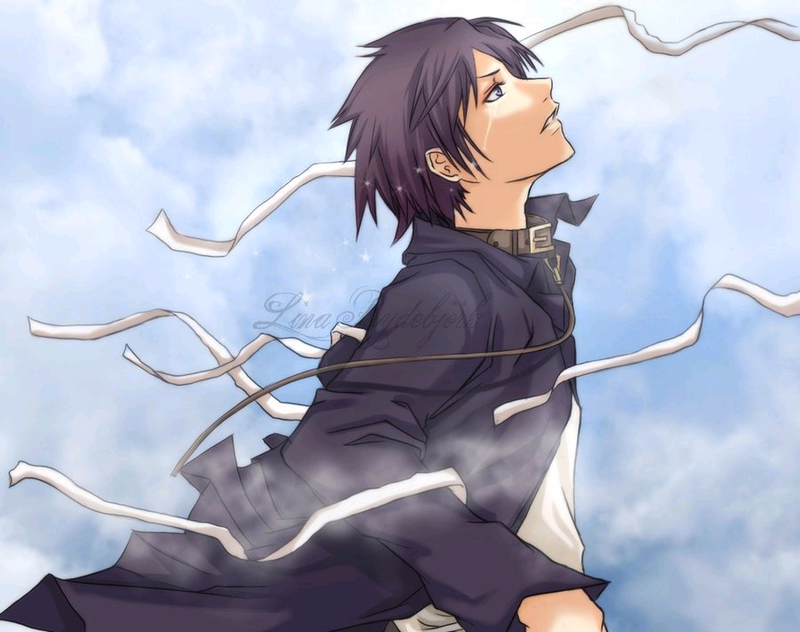 Their eyes are light blue, except for when they are in the air, because at that time their eyes turn an errie silver colour. They both have a slim yet athletic build, and a fair olive toned skin colour. History:She was born to two parents who loved her very much when growing up. Both of them worked in AT industry for as long as she can remember the existence of AT. Her father was a developer of ATs as well as a designer for the schematics for the new ATs, until that fateful day 7 years ago, when she became an orphan. Her mother was a fashion designer for the mainstream Olympic AT riders. While their daughter being Raien of course didn't like all this structure and preferred to be free. So she started going to underground parts battles she had heard about as a way to learn more about the trick aspects of AT and to see if those true AT riders treated their ATs like an extension of themselves instead of as a tool just to have fun. Much to her surprise most of them did, it was at one of these parts battles she met a King...or an individual who claimed to have been a king. It was he who taught her everything she came to know about the AT as well as the soul of the rider and how to meld your soul with the soul of your At, as well as how to listen to the wind. He was the reason she fell in love with AT and with him, and the reason she fell in love with all underground AT riders. Because of her love of both she hates the fights between AT riders that lead to death, yet she understands the reasons for them. Usually when a rider wants to go to war with another rider the AT that the rider wears also wants to fight. After he trained her for about 6 months the man who was supposedly a king disappeared, as well as the Thunder Regalia without a trace when she was 19 years old. It was then that she realized that he really was the king he called himself. Then, one day 2 years later the man reappeared but, the difference from then and before he appeared to her in a hospital and he was getting stitches from cutting himself on some glass. The reason she found out is because the hospital called her and told her that her boyfriend was in the hospital, the only problem is she hadn't had a boyfriend or anything close to it, since "He" left. As she walked into the room and the first thing she noticed were his beautiful brown eyes and he pearly white smile, and then it happened. The man from before...the one who slaughtered her parents with his ATs, he returned and why was he back?! He smiled and then she saw his leg move and on his feet were the missing Thunder Regalia and in that instant he destroyed the entire room and killed the only person who ever really saw her for her, and left her to pick up the piece yet again. But this time she knew his face and his voice. As he left her head said"It's nice to see you again beautiful, we should go out some time." Personality: Her personality is quite simplistic, not to say she is simple minded, no she is simply easy to figure out. Her way of acting cold and emotionless to most is simply because she is fearful of others, thinking they might attempt to harm her in some shape or form, she only has one friend currently, but that is not because she has a hard time making friends, it is simply that he is the only friend that can put up with her attitude. She normally isn't temperamental unless you are an idiot, then she has issues with you or if you are a pervert, but if with things being that way, somehow she is able to tolerate her friend's actions. Now tolerating and accepting are two different things. But kind of liking the young man she puts up with his perversion. Dislikes:Perverted guys, insects, ugly people, spicy food, reality television, cold weather, boring anime, Pocket Monsters, cruelty to animals, Parts wars taken too far, Ats that are not treated right. The murderer of her parents, being alone, and realizing she forgot to do something. Team: [i]She may be a member of Dead Air, yet surrounding her there is nothing but air. The length is good, and everything checks out. Another tragic orphan? There seems to be an epidemic. Quick question, does that say that you're a member of Dead Air? No matter the answer, you're approved.